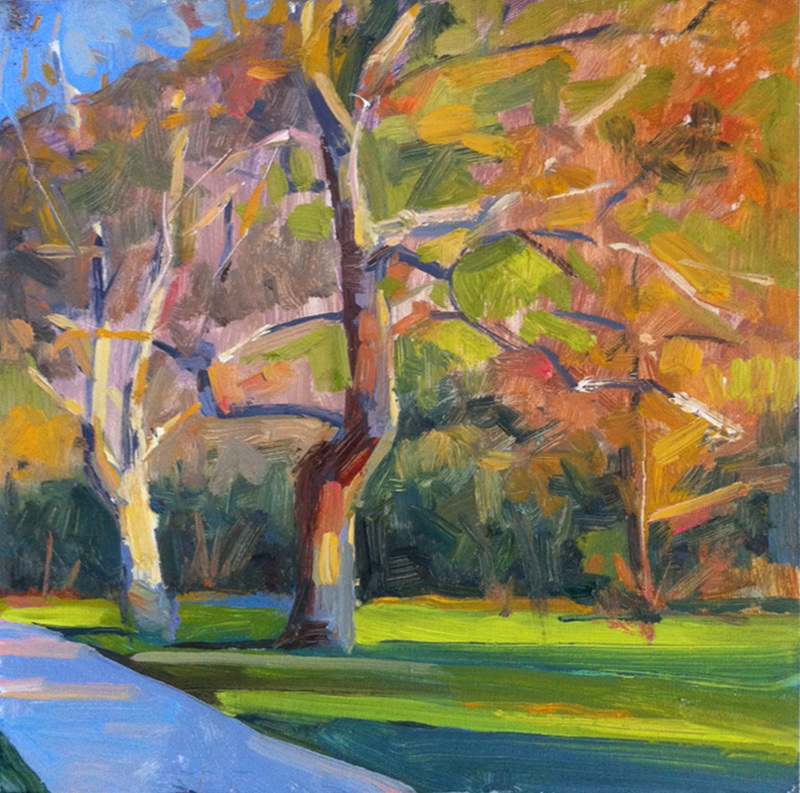 Here are a few park paintings I’ve done over the last couple of months. These are really an excuse to look at color and engage the shifting winter light, which moves very quickly, and has a greater subtlety than summer light. I can’t always get out for a longer, more remote painting trip, and regional parks afford an opportunity to get in a days painting without a lot of planning. 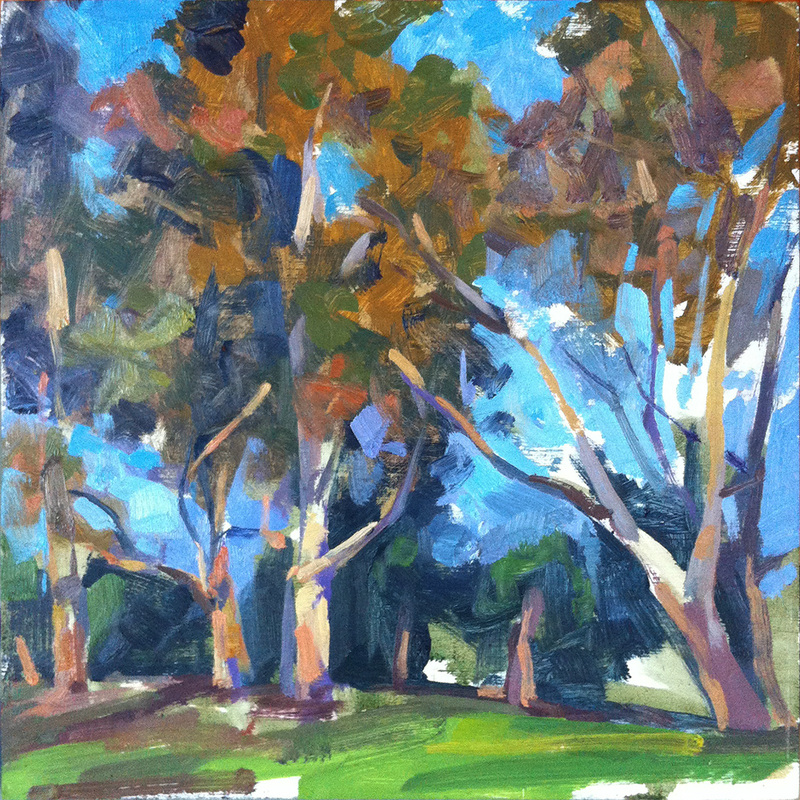 I’m in the early stages of a new body of work, and even brief sessions in the landscape seem to sharpen my sensitivity to color and help me maintain a certain aggressiveness to my paint handling in the studio. 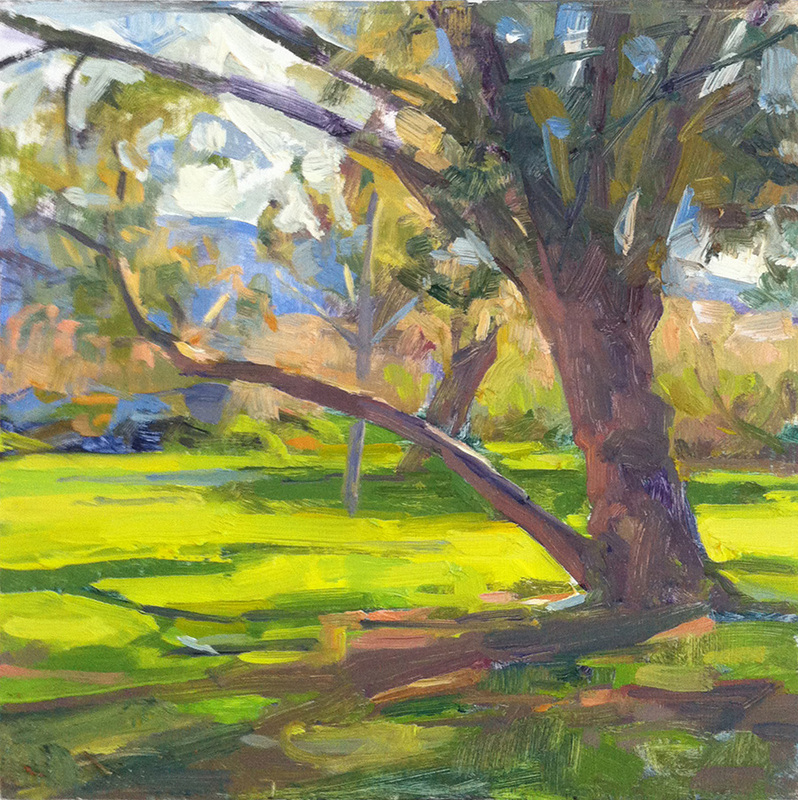 This entry was posted in California, Landscape Painting on March 12, 2015 by Joe Forkan. I love the light in these Joe, and the vibrant way you painted them.